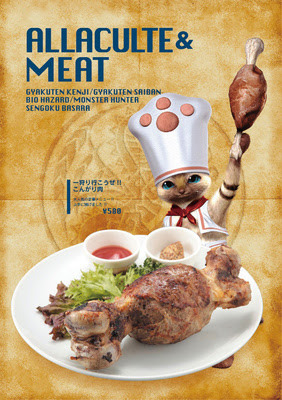 The Capcom Entertainment Bar that i posted about previously have started to show some of the game related items that will be on the menu, and they are both impressive and odd at the same time. 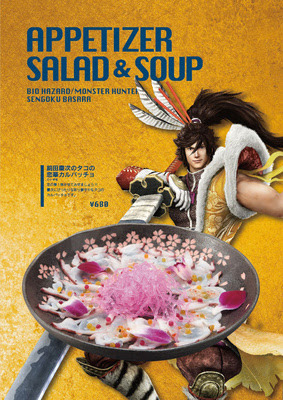 The first item shown is from the series Sengoku Basara, which is a very colourful Maeda Keiji's octopus carpaccio salad and soup appetizer. 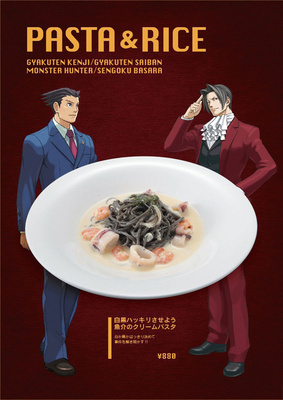 The third item they have shown is from Phoenix Wright: Ace Attorney and is a Make-It-Black-and-White seafood cream pasta. 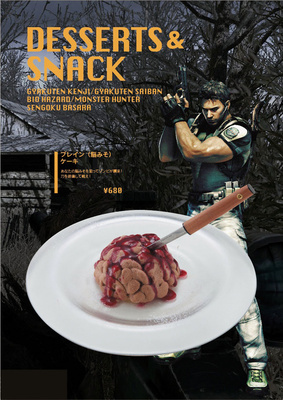 The final item on the menu that has been pre-released is from Resident Evil and is....wait for it.... a Brain Cake! Now you can finally fulfill your inner urge for brains without getting infected with the T-Virus.